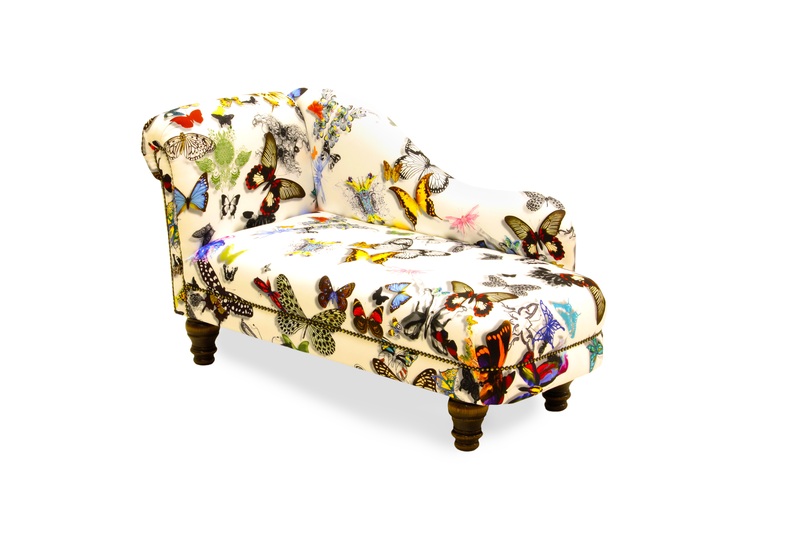 Small left hand chaise, with oak sofa legs and antique studs, upholstered in Butterfly Parade by Christian Lacroix. All our chaise longues can be made either left or right hand and in any of our fabrics or one supplied by you. The choice of leg style and colour is also entirely up to you.